A FIRST FOR BOULEBLOG!!! VIDEO!!! JEFF BOULE INTERVIEWS “A DAY FOR GRACE” STAR DOUG VINCENT!!! While the video itself lacks technical quality, what you are about to witness is a one-of-a-kind, exclusive interview with the gripping two-man show co-star Doug Vincent. The other co-star, none other than the extraordinary Sam Llanas!!! Follow the technical advisements attached to the video, and more importantly pay attention to the discourse, the dialog, the message! I want to thank Mr. Vincent for his kindness, patience and indulgence in our first ever video interview. I can promise that as we go along the video quality will get better as, with your understand and encouragement, we would relish the chance to grow and expand our capabilities. In the meanwhile I hope you will enjoy our first video interview with the incomparable Mr. Doug Vincent. Special thanks to all who helped make this happen, Mr. Douglas Vincent, Mr. Samuel Llanas, Mr. Gary Tanin, Ms. Jessica Belf-Vincent, and any and all who I may have forgotten to list. We have not forgotten about the Killing Joke MMXII review, but this was too exciting to let slide. SOMETHING NEW AND EXCITING TO PEP UP YOUR WORKWEEK!!! A SNEAK PEEK AT THE SENSATIONAL “A DAY FOR GRACE”! SEE DOUG VINCENT, HEAR SAM LLANAS!! Big love to Jessica Belf Vincent for supplying BouleBlog with this precious clip. I know I will treasure it. You SHOULD! I know I said I would be reviewing the new Killing Joke disc, and I would be laying off the Sam Llanas promotion. But, in light of the recent tragedy emanating from Canada regarding the suicide of a young woman by the name of Amanda Todd as the result of repeated bullying, both online and in school, I felt the following press release from the Llanas camp was not only timely, but in light of the event with the late Miss Todd, necessary. First read the press release from Mr. Llanas’ management, then please view the entire video embedded in this post. WARNING: The video from Miss Todd is graphic, and for those under the age of 16, should be viewed with a parent or guardian as it does contain some graphic language. MILWAUKEE, WI – St. Sebastian School will host its annual Character Education kick-off assembly with two Milwaukee area icons – recording artist Sam Llanas and Milwaukee Mayor Tom Barrett on Tuesday, Oct. 23, at 1:30 p.m. The assembly will be held in St. Sebastian Church, 5400 W. Washington Blvd., Milwaukee. Llanas will perform his song “Bully on the Corner” and speak to the students about the effects of bullying. He also will perform other hits from his musical library. Mayor Barrett has addressed St. Sebastian students on several occasions. A graduate of St. Sebastian School, Barrett’s four children have also attended the school. St. Sebastian offers four-year-old kindergarten through 8th grade and has 360 students enrolled this year. Its Character Education Program has been recognized by the National Catholic Education Association. DRINK FROM THE FOUNTAIN OF ABSINTHE. BUT YOU WILL BECOME IMMEDIATELY ADDICTED TO ASTOUNDING SOUNDS! The first time this project came to my attention was through my discovery of Sam Llanas (oh here he goes again with Sam Llanas…). Maybe if you gave Mr. Llanas a listen, you might go on about him too. He’s good! A consummate performer, an elegant songwriter, and perhaps the most passionate vocalist I have witnessed in my life. As much as I am loathe to participate in revisionism, my exposure to his 4A.M. disc has motivated me to want to explore his past work with the BoDeans, a group he is no longer a part of. Mind you, I will only participate in those albums to which Llanas was a contributor. The project band consists of Jim Eannelli playing bass and guitars, Guy Hoffman on drums, and Llanas providing acoustic guitars and vocals. Many of the tracks feature keyboards by Gary Tanin, most notably known as a producer/engineer/audio mastering of global renown. But there are significant contributions by Thatcher Schmid (violin and mandolin), Paul Gmeinder (cellos), Tiffany Hood (backing vocals), Janet Planet (vocals), Nick Kitsos (percussion) and Reggie Bordeaux (percussion). 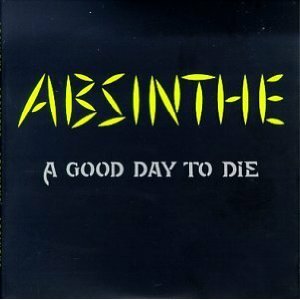 But the title of the album had me hook, line and sinker: A Good Day To Day. 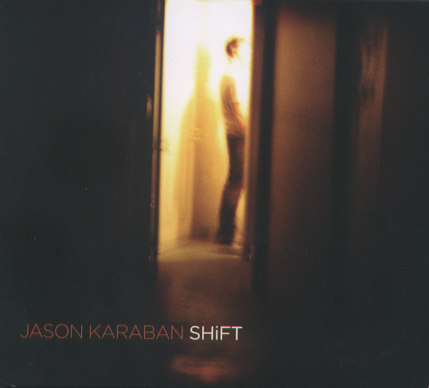 JASON KARABAN SHiFTS HIS MUSIC INTO HIGH GEAR AND DUSTS THE MEDIOCRITY OF POPULAR MUSIC. HANG ON TIGHT!! Karaban himself admitted during a live show that this cover looks similar to that of someone performing a bodily function. If you have the intelligence to find this page, you can figure out what that bodily function is. Photo courtesy of Ascend Records. The background behind Jason Karaban coming into my line of vision (or auditory sense) was seeing him and Jim Boggia doing an opening set for Sam Llanas at the Rockwood Music Hall on September 12, 2012. Usually you see an opening act and think “Oh gawd, how long am I going to have to suffer through this act?” The truth of the matter was, the evening began with a young lady singing and playing piano with a guitarist accompanying her. In true opening act fashion, the house was empty near the end of her set, and her mix was faulty, as the guitarist often got lost in the mix. Once the female-led duo left the stage, we decided to settle into a front row for Mr. Llanas’ set. Before that, we were treated to the song and comedy of Jason Karaban and Jim Boggia. Boggia came off like a comedian immediately. Joking and interacting with the crowd. Karaban was equally funny but a bit more demure in demeanor. But the voice coming from Karaban was honest, and very evocative of another artist who does well in scaled-down, intimate settings, Mark Mulcahy. You are currently browsing the BouleBlog blog archives for October, 2012.